In 1966, Administrative Reforms Commission (ARC) headed by Morarji Desai recommended the creation of ‘Lokpal’ in the centre & ‘Lokayukthas’ in the states to instill public faith in the government. A few states have already implemented Lokayukthas in their states. Maharastra is the first state to do so. In 1968, Lokpal bill was introduced in Lok sabha but couldn’t be passed. Again, till 2013 Lokpal bill was introduced in Lok sabha several times, but couldn’t succeed. 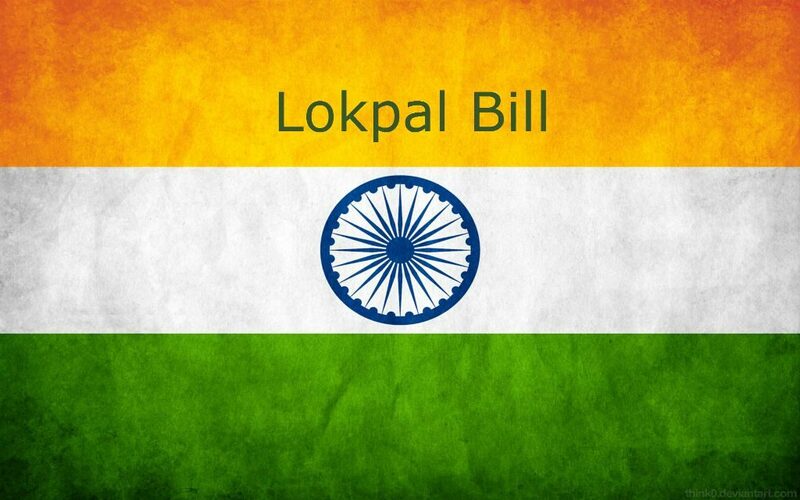 Several social activists drafted their own version of Lokpal bill. Aruna Roy and civil society activists are among them. Jan Lokpal bill was drafted by Civil Society activists which is headed by Anna Hazare. Govt didn’t pass any of these versions but did several modifications to the govt version of Lokpal bill according to the suggestions by social activists. Anna Hazare started indefinite fast for Jan Lokpal bill in 2011. In 2011, Lokpal Bill was passed in Lok sabha, but couldn’t pass in Rajya Sabha. Finally, with pressure from public and Anna Hazare, Lokpal Bill was passed in December 2013, there are many differences between govt version of Lokpal bill and Jan Lokpal bill though. Lokpal will have maximum of 8 members, half of them will be judicial members. And remaining half of them will be from SC/ST/OBC, minorities and women. Lokpal members will be elected by a committee consisting of Prime Minister, Speaker of Lok Sabha, Leader of Opposition in the Lok Sabha, Chief Justice of India or a sitting Supreme Court judge nominated by CJI, eminent jurist to be nominated by the President of India on the basis of recommendations of the first four members of the selection committee. Every public servant including prime minister comes under Lokpal. Prime minster can be prosecuted only if 2/3rd of the lokpal members approve it. Lokpal will have the power of superintendence and direction over any investigation agency including CBI for cases referred to them. For false complaints, imprisonment can be given for the maximum of 1 year and fine upto 1 lakh rupees. Inquiry have to be finished in 60 days. And investigation must be completed within 6 months. And the punishment have to be declared within 2 years. Lokpal can setup special courts. All entities receiving donations from foreign sources more than 10 lakh per year come under the jurisdiction of lokpal. Religious bodies, charitable trusts are excluded from this. Transfers of CBI officers, who are dealing with the cases referred by Lokpal, have to be approved by Lokpal. Lokpal can start the prosecution in special courts even without charge sheet or prior sanction. Lokpal has the power to confiscate the property of the corrupt, even if the case is pending. Lokpal is a great weapon to reduce the corruption. Lokpal will have no politicians. Hence it is free from political interference. As the timeline for inquiry, investigation was mentioned, no delay will be there in doing justice. Burden will be reduced for judicial courts. Lokpal can’t take the grievances from the public directly. Though the lokpal have no political members, the committee which selects lokpal members consist politicians. So, lokpal is not completely free from political interference. CBI was not made as an independent body as mentioned in Jan Lokpal bill. Lokpal deals with corrupt politicians and Central Vigilance Commission (CVC) deals with corrupt bureaucrats. So, there are chances of clash between these two, as the corruption happens mostly by the involvement of politicians and bureaucrats together. Lokpal can’t register FIR. The prosecutions made by Lokpal will be considered as preliminary inquiries. Lokpal has no special police force. So, it can’t protect whistle blowers too. Lokpal has no jurisdiction over foreign affairs ministers, security and defense ministers. So, the corruption in these departments will go unnoticed. Fear of fine and imprisonment for false complaints may stop even the genuine complaints in some cases. Though Lokpal have some drawbacks, now at least we have a law to prosecute corrupt politicians. Lokpal restored the public faith in the Government. And this Lokpal must be amended to make it more stronger weapon against corruption.